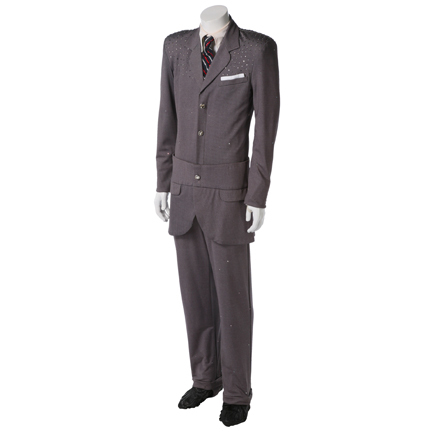 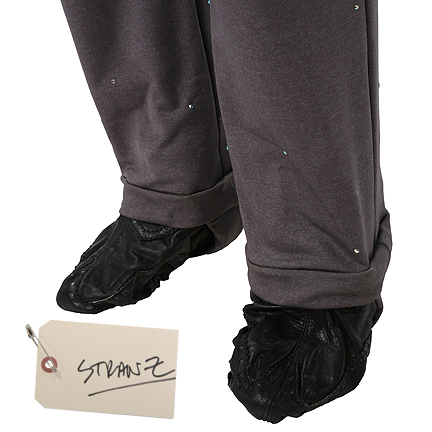 This grey spandex suit was worn by “Stranz van Waldenberg” played by Will Arnett. 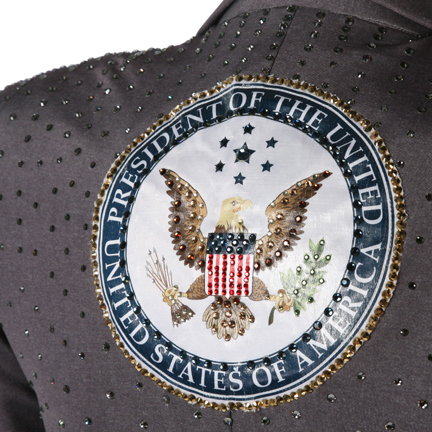 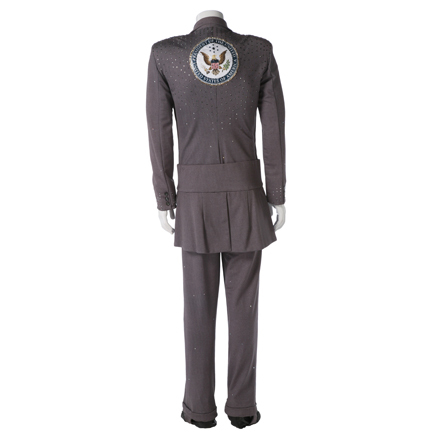 This onesie was custom made and embellished with rhinestones, it also includes black leather wingtip skate covers, a “President of the United States” seal on the back, white spandex dickey and a blue tie with red/white rhinestone stripes and details. 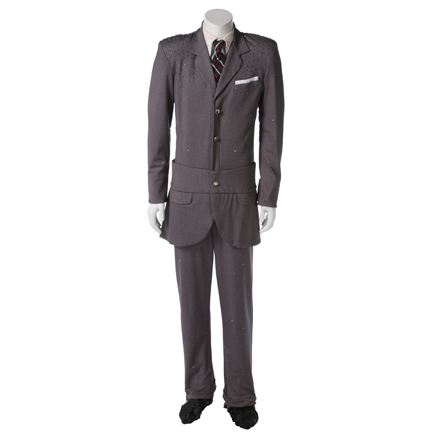 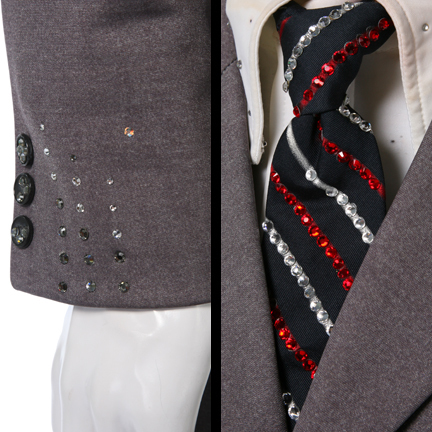 Mr. Arnett can be seen wearing this suit during the “Team van Waldenberg” dramatization of “Forbidden Romance,” a dance routine where he embodies “JFK” dancing with “Marilyn Monroe” played by his sister “Fairchild” (Amy Poehler). 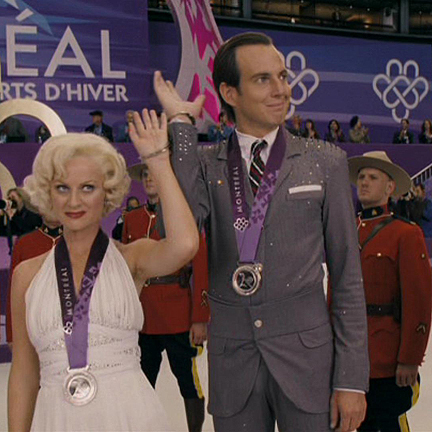 "Blades of Glory" was nominated for three MTV Movie Awards, including one for Best Movie.